Patty likes to take note of places that are mentioned in the Manson mythology so that she can later go back and photograph them for posterity. One piece of information she found very interesting was an email supposedly written by TJ's sister in law "Cyn" to the administrator of a popular HTLBS site that you are all familiar with. In the email Cyn wrote about TJ's funeral arrangements that half of his ashes were spread in the desert and "the other half of Tom's ashes were brought to Tom's family in Reno, NV where we had a second memorial ceremony for him. His ashes are interred in the Veteran's Memorial Cemetary in Fernley, NV. He is interred next to my husband John, his mother Marie and his father, John Sr." Patty was in Fernley recently and took the lead photo of the cemetery but could not find his headstone. Being the big chicken that she is, Patty got Liz to call the cemetery's administrator. 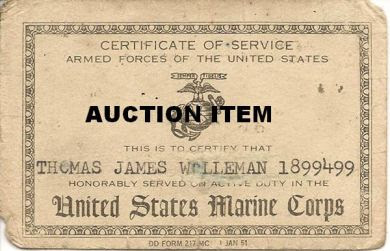 We have TJ's date of birth, date of death, rank, active duty dates and serial number. They say he is not buried there. So either he is not buried there, or they do not release info about celebrities and/or supposed "FBI informants." 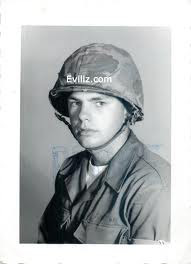 Cyn also wrote: "Tom and Lori did marry and had 3 children: Aslan, Light and Rivers...Tom has two other children by his first wife, Rainbow or Bo as we called her. They had two daughters: Yana Mani and Domani." Eviliz.com has confirmed that two of these names are spelled incorrectly and Cyn has left out mention of a sixth child alltogether. What's up with that? You may also remember that some time ago, The Pattys spent the good part of an entire day and $100 in gas driving up and down the 395 looking for the crash site with a grainy photo from Bill Nelson's book in hand. There are some good landmarks in these photos: in one, a house with a fence and a telephone pole amidst a clump of trees on one side of the road. In the other, a distinctive, long, sloping butte in the distance on the other side. 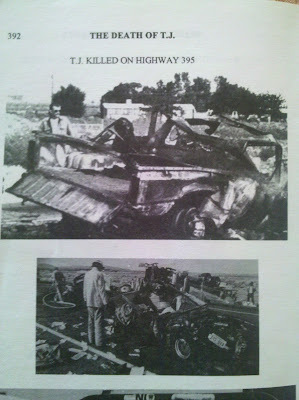 In Taming the Beast p. 142, it says that the fatal curve in the road was in Kern County. Never could find a spot that even remotely resembled the photos even though we doubled back to get both perspectives. A friend of the blog just emailed TJ's entry in the US Veterans' Gravesites Website that corroborates TJ being buried there in Fernley. The plot thickens! Maybe the Pattys will go back to Fernley soon, look for TJ again and give the Sonic Burger one more chance: last time was an unmitigated DISASTER (think chihuahuas and too-small cupholders). Shani used to go and visit Charles in prison. I could've sworn I saw him on a Geraldo episode about the family back in the 90's. TJ was killed in a vehicle accident June 7, 1995. The Geraldo Manson Family Reunion interview was in 1989. I was a childhood friend of TJ and Lori's kids. Shani, Asland and Light Rain. I was there when they got the news that he had passed. I heard the adults talking about it and apparently he and Lori had been arguing when he pulled over and made her get out and walk. Then he crashed. We spread the ashes up at Barkers ranch. I was just a kid, but I remember it clearly because that was my first experience with death. Hi Curiosity. Interesting about the ashes: Legend has it that all that was left of TJ after the crash was one hand. This comes from Bill Nelson's book. There is definitely a head (or hand) stone in Fernley, and now you remember that ashes were spread at Barker's. Did they do like some families do and split TJ up among themselves? Interesting.